With Readly you can read Linux Complete Manual and thousands of other magazines on your tablet and smartphone. Get access to all with just one subscription. New releases and back issues – all included. 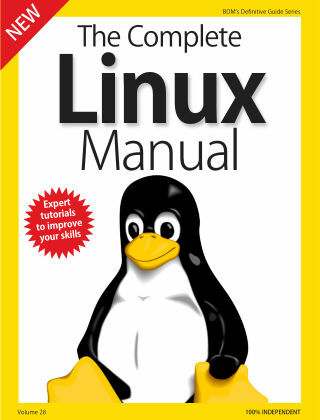 Discover everything you need to know to master the Linux OS! Linux may not have the user numbers that Microsoft or Apple enjoy but those who have adopted the open source world into their digital life have found this remarkable operating system, and the available free programs it offers, a breath of fresh air. Linux offers the user a fast, secure environment, free from bloated software, to work and play on. Not only are you able to configure it to your own personal tastes, you can also enjoy a superb everyday desktop operating system that’s developed by a community of like-minded users. 100% unofficial.